Canada Seeks to Implement PACA Similar to That in U.S. The Canadian Produce Marketing Association and the Canadian Horticultural Council applaud the commitment from the Liberal Party of Canada and Liberal Agriculture Critic Mark Eyking to establishing a Canadian mechanism comparable to the Perishable Agricultural Commodities Act(PACA) in the United States and to restoring Canada’s preferential access to PACA programs. The lack of payment protection in Canada is the number one issue for fresh fruit and vegetable growers and sellers across Canada. The industry has long advocated for a PACA-like trust in Canada. The highly perishable nature of fresh produce makes the industry uniquely vulnerable during bankruptcies, risking financial ruin for those affected. Produce sellers in the United States have PACA, which provides a deemed trust mechanism that ensures that growers and sellers are paid should a buyer go bankrupt or simply refuse to pay for the product they receive. Canada had been the only country whose exporters were granted the same protections as U.S. companies under PACA. The U.S. revoked Canada’s special access due to the lack of similar trust protection and the lack of progress in fulfilling the Canada-U.S. Regulatory Cooperation Council commitment to establishing a comparable approach in Canada. Long vulnerable in Canada, the situation became more urgent after the decision last fall made exporting to the U.S. a much riskier enterprise for Canadian companies, who currently send 40 percent of all produce grown in Canada to U.S. customers. Since Oct. 1, Canadian companies trying to recover unpaid bills have had to post a bond of double the value of their claim to move forward with a formal claim under PACA. Many cannot afford to do so and must simply walk away from what they are owed, a decision several have already had to make. CHC and CPMA have been asking all parties to commit to resolving this issue in their platforms this election. A limited statutory deemed trust, like the PACA model, is a no-cost solution and the most effective means to resolve the issue. Other options would result in high cost to both sellers and government, while still providing ineffective protection. There is angst among some in the Canadian produce industry because the rules set up by an entity of America’s U.S. Department of Agriculture (USDA) has changed some rules regarding protection they receive when there is a dispute involving a produce transaction. However, it could be worse. What if the Canadians had absolutely no protection against unfair practices, something U.S. produce truckers have never had. The U.S. government recently took away a trading privilege from Canadian produce companies that has been available for more than 75 years. The result is fruit and vegetable producers risk losing thousands of dollars, closing their businesses, or moving across the border into the U.S.
Canadian produce companies that were owed money from U.S. companies could pay $100 to start a legal process, under the Perishable Agricultural Commodities Act (PACA). This would happen when U.S. companies didn’t pay their bills on time, at all, or when the company declared bankruptcy. However, in October 2014, the United States withdrew Canada’s privileged access to PACA after the Canadian government neglected to implement the same privileges this side of the border. Now Canadian fruit and vegetable producers have to pay double the amount of money they’re owed to get access to the unpaid funds. If they’re owed $100,000 for cucumbers for example, they have to pay $200,000 as a bond to get the process started. For decades, this writer has advocated owner operators, small fleets and large fleets hauling fresh fruits and vegetables be afforded similar protections the USDA’s PACA provides for the produce industry. This would be invaluable for produce truckers facing unfair claims or deductions or rejected loads. However, the produce industry has always fought against such measures and the PACA has certainly shown no interest. A company filing bankruptcy is never good for anyone. In the produce industry there is the Perishable Agriculture Commodities Act (PACA) administered by the USDA, whereby creditors receive a certain amount of protection, and hopefully get at least a portion of the money they are owed repaid. I’ve advocated for decades that product truckers be offered the same protections under PACA that are afforded those in the produce indutry. Under a bankruptcy truckers would be among the last in line to be paid, which usually means they will receive nothing. I was reminded of this when Progreso Produce Limited I LP filed for Chapter 7 bankruptcy liquidation for the Boerne, Texas, business Sept. 30. The 40-year-old company is listing more than 60 creditors including many fresh produce companies. The company is reported to have debts ranging from $1 million to $10 million. Assets of less than $50,000 are reported. The bankruptcy trustee notes there doen’t not appear to be any property available to the trustee to pay creditors. Meanwhile, produce, grower-shipper-processor of fresh vegetables, River Ranch Fresh Foods is closing operations. The Salinas, CA, based company will cease operations, effective Nov. 8. Taylor Farms Retail will service retail value-added accounts beginning Nov. 9, plus Growers Express will handle all field-pack commodity requirements. River Ranch, which was formed 34 years ago, was purchased by Taylor Fresh Foods three years ago with the hope of improving financial performance and regaining viability. There have been an amazing advances in trucking equipment and other technology since I first started covering the transportation of fresh fruits and vegetables in 1974. However, some things never change. The human element remains. In order for both the driver and the other parties involved in the successful loading, transit and delivery of the produce, honesty, fairness, and respect must be at the center of the business deal. 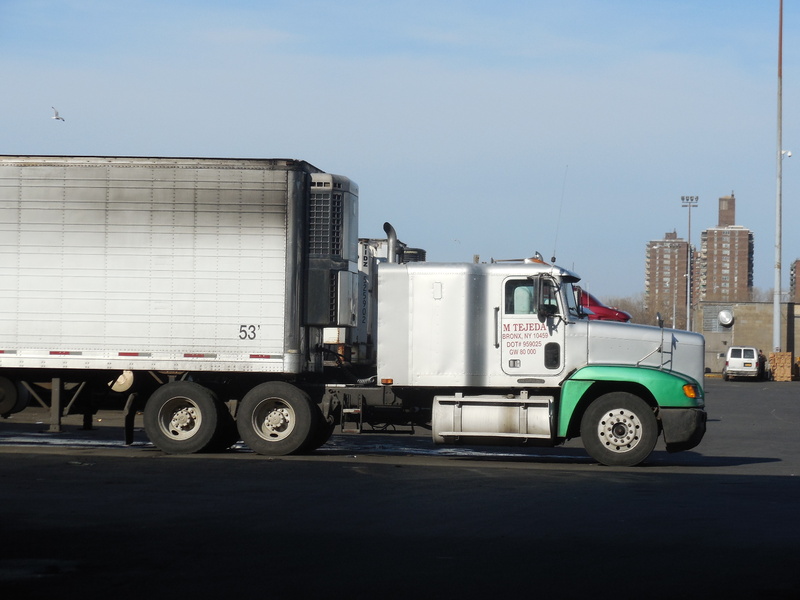 A webinar was held July 18 where a set of “best practices” have been developed by the North American Transportation Working Group (NATWG), which consists of members of the produce industry seeking improvements between their trade and the trucking industry. Among those participating were individuals from Australia, Mexico, Canada and the USA. For decades it has been realized that some things never change. The need for communication and documentation are vital when hauling fresh produce, and those was emphasized once again at the webinar. The advancements in technology was discussed at the webinar. For example there is becoming more use of temperature recording devices in transit that are combined with GPS systems so real time temperatures can be monitored. However, without good documentation of the load, all the technology around may not be able to protect thosed involved in the load, whether it be shipper, carrier, or driver. That documentation can be anything from photos, to bill of ladings, videos, e-mails, or a combination of these. The NATWG has developed abest practices and checklists are on the group’s website at http://naptwg.org. It is a one-page checklist for shippers, truckers and receivers to provide important infomation to those involved in the load . 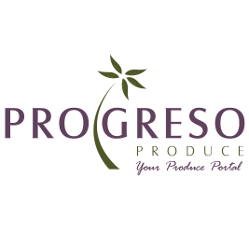 Jim Gordon, operations manager for Ippolito Fruit & Produce Ltd. of Toronto has been in the produce industry for 40 years. 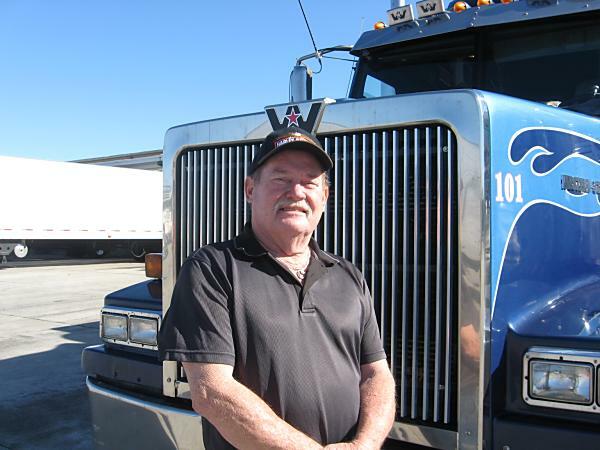 He observed that early in his carerr he realized the importance of respectful treatment of truck drivers, plus the need for fast turnaround times to get them back on the road. This is a key to maintaining good relationships with carriers. This becomes even more critical with the new hours-of-service regulations because loading and unloading time now counts toward their driving time, Gordon said. Inspect produce with the truck driver present before loading and unloading. Check pulp temperatures at loading and unloading and note them on the bill of lading. Don’t put temperature recorders where vents will blow on them in the trailer to ensure accurate readings. Require carriers to provide constant temperatures rather than relying on cycling patterns of refer units. Make sure all documents are completely filled out to avoid delays at border crossings. NATWG is to be commended for their efforts in improving working relationships between the produce and trucking industries. Unfortunately, there are those in the produce and trucking industries who are not as noble as the NATWG appears to be. Thus, recommendations and guidelines on a piece of paper will only go so far. Something with more “teeth” in it is ultimately needed. The produce industry has enjoyed protections from the federal government through the USDA by a vehicle known as the Perishable Agricultural Commodities Act. For over 80 years PACA has provided mediation and arbitration when there are business disputes between parties in the produce industry. Since at least the 1960s or 70s there have been occasional efforts to bring produce trucking into the PACA to provide these same protections where there is a claim that cannot be resolved. Unfortunately, some in the produce industry have successfully fought these efforts. In a nutshell, produce truckers too often receive the shaft in unfair claims and deductions from the produce industry. And the produce industry, which has protections in disputes, won’t even consider allowing these same truckers the protections they enjoy. More about this in a moment. It is turning into a relatively uneventful produce shipping and hauling season, as far as total produce volume as well as supply and demand for refrigerated equipment. Rates remain strong from the major shipping areas, but not setting any records. Any produce shipping area that may be reporting a shortage of trucks is probably experiencing this shortage primarily due to not increasing the rates enough to attract more equipment. Often the shipping areas are off the beaten path, and providing more lower cost, basic or “hardware” produce items. Also, when I describe the summer produce shipping season as “relatively uneventful,” I qualify that by saying there still are the usual unfair claims and deduction on loads at destination. Combine this with the fact, there have been a number of produce companies file for bankruptcy this year, it increases the odds that the trucker will be the last to paid, and probably not receive a dime of what is owed. Many if not most produce companies receive protections under the Perishable Commodites Act (PACA) that provides protections and arbitation in disputes between members of the produce industry. However, as I’ve “preached” for decades now, truckers are not afforded the same protections. So if you are owed money by a bankrupt receiver, you are pretty much on your own in trying to collect monies owed. Even with a receiver not involved in a bankruptcy, and there is an unfair claim or deduction, unless you have an exceptional carrier, shipper or broker behind you, or you can afford a lawyer to represent you, mostly likely in a state hundreds if not thousands of miles away — you are out of luck. Meanwhile, the produce industry continues to have meetings, conferences, teleconferences, etc. now and then, that promote good and fair treatment of produce truckers. This is honorable. There are actually some people in the industry that care and would love to see produce haulers receive the same protections as members of the produce industry. But they are easily in the minority and lack the clout to do much about it. Hunts Point Firm Owes over $1.5 Million; Where is PACA for Truckers? The U.S. Department of Agriculture (USDA) has cited Ven-Co Produce Inc. of Bronx, N.Y., for failure to pay for produce. Ven-Co is located on the Hunts Point Wholesale Terminal Market. The company failed to pay $1,559,892.79 to 26 sellers for 210 lots of produce. This is in violation of the Perishable Agricultural Commodities Act (PACA). As a result of these actions, the USDA and Ven-Co Produce Inc. have entered into a consent decision and Ven-Co Produce Inc. cannot operate in the produce industry until Feb. 15, 2014, at which time it may reapply for a PACA license. It is not known whether Ven-Co owes money to truckers for services. Such transactions are not taken into account by the PACA. In fiscal year 2011, USDA resolved approximately 2,000 claims filed under the PACA involving $31 million in their continued efforts to serve and protect the fruit and vegetable industry from unlawful trade practices. Unfortunately the PACA does not offer protections to produce transportation entities who deliver fresh fruits and vegetables. Whether you are faced with an unfair claim, your load is unfairly rejected, or you are not paid for your services, you are pretty much at the mercy of the produce receiver. Of course, you can file a lawsuit where the alleged violations occur, but then you face the high cost of litgation, and have to make court appearances in a venue that may be thousands of miles away. In other words, it usually is not worth the time and effort. How much time and money is lost every year by produce haulers is not known. But talking with people in transportation, it is significant. The produce industry has fought tirelessly for decades to avoid having truckers receive the same protections they receive under the PACA. San Antonio Firms Filing Bankruptcy? If these Texas produce firms remain in business, produce haulers should be extra cautious. Two produce companies in San Antonio, TX are making news with multiple sources regarding possible bankruptcy fillings. The operations in question are Delta Produce LP and Superior Tomato and Avocado. The firms, which are believed to be related, are facing compliants from the Perishable Agriculture Commodities (PACA). As of December 29th around $600,000 in PACA claims have been filed by other produce firms, which are owed monies. The PACA comes under the umbrella of the U.S. Department of Agriculture and requires U.S. produce companies buying or selling fresh produce in commercial quanities to be licensed by USDA. This helps to provide protection to the produce industry when dealings between produce companies cannot be resolved between themselves. Trucking is not afforded these same protections and often have no recourse when monies are owed, except through the courts. This can be costly, not to mention the inconvenience of fighting a company for money who may be located in a different state thousands of miles away. Also, PACA protected produce companies get their monies first, if any is left in a bankruptcy. Bill Martin of haulproduce.com for decades has been calling for trucker protections under the PACA.